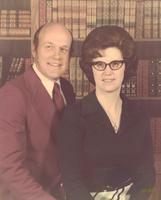 Provide comfort for the family of Gerald "Jerry" Sadler with a meaningful gesture of sympathy. Gerald Glen Sadler also known by family and friends as Jerry passed away on Thursday, March 28, 2019 having reached the age of seventy-eight years, eleven months and one day. Jerry was born on April 27, 1940 in Caledonia, Missouri, a son of the late Glen Sadler and the late Sara (Montgomery) Sadler. On August 20, 1960, Jerry was united in marriage to Ella Jo Barr and they shared nearly fifty-nine years together. 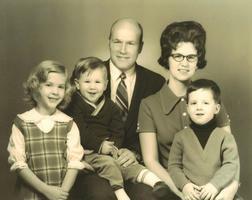 Jerry is survived by his loving and devoted wife, Ella Jo Sadler; three children: Joye (husband, Paul) Meinsen, Clay Sadler and Clint (wife, Lori) Sadler; seven grandchildren: Jessica, Timothy, Benjamin and Jonathan Meinsen, Lindsay, Evan and Leah Sadler: brothers-in-law and sisters-in-law: Rosemary Elliott, Glenna Mae McClain, Bonnie Lou (husband, Bill) Zuck, Marilyn Sadler and Bill Whetstone. In addition to his father and mother, Jerry was preceded in death by one brother, Martin Sadler and one sister, Sally Sue Whetstone. The family will receive friends on Saturday, April 6, 2019 from 11:00 AM until 1:00 PM at the DeClue Funeral Home, 301 East High Street, Potosi, MO. 63664. A Funeral Service will be held on Saturday, April 6, 2019 at 1:00 PM held in the DeClue Memorial Chapel. Jerry's son-in-law, Paul Meinsen will officiate. A private interment will be held for the family. Funeral arrangements were respectfully entrusted to the care and direction of the DeClue Funeral Home. 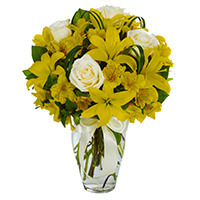 To send flowers in memory of Gerald "Jerry" G. Sadler, please visit our Heartfelt Sympathies Store. We encourage you to share your most beloved memories of Gerald "Jerry" here, so that the family and other loved ones can always see it. You can upload cherished photographs, or share your favorite stories, and can even comment on those shared by others. David Hearne Family and The Yandells, Stephen, Larry and Judy have sent flowers to the family of Gerald "Jerry" G. Sadler. Praying for you and your family in this time. I have fond childhood memories of Jerry and how he and his wife would open their home to Clay's friends and the WCA class of '86. 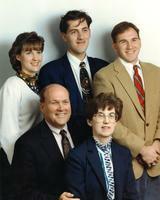 David Hearne Family purchased the BRIGHTEST MEMORIES for the family of Gerald "Jerry" Sadler. Sending all our love to the Sadlers. 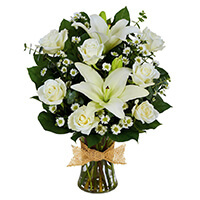 The Yandells, Stephen, Larry and Judy purchased the Tribute Mixed Vase Arrangement - All White for the family of Gerald "Jerry" Sadler. I am so sorry to read of Jerry’s passing. Please know that all of the family are in my thoughts at this difficult time. Maybe he rest up n Peace.